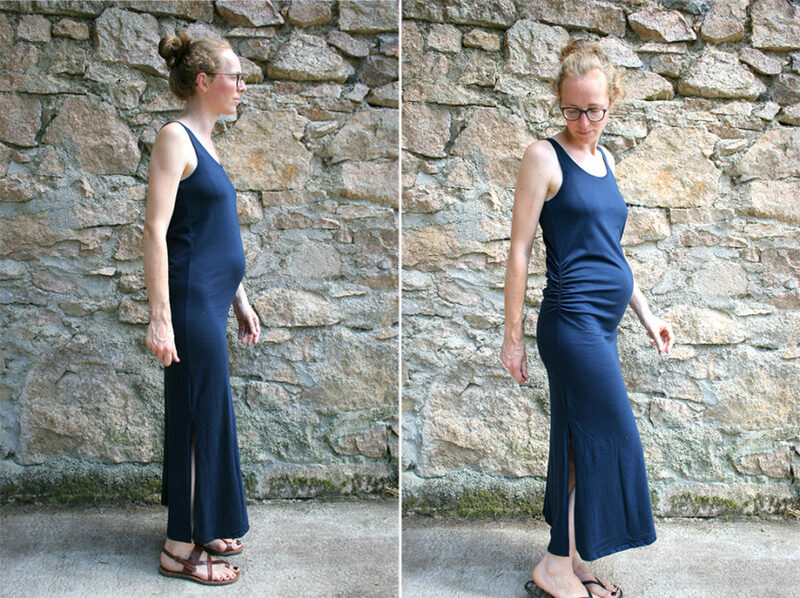 If you’ve seen or made a knit top or dress that isn’t drafted for maternity, you can easily turn it into maternity wear by adding some elastic to the side seam. 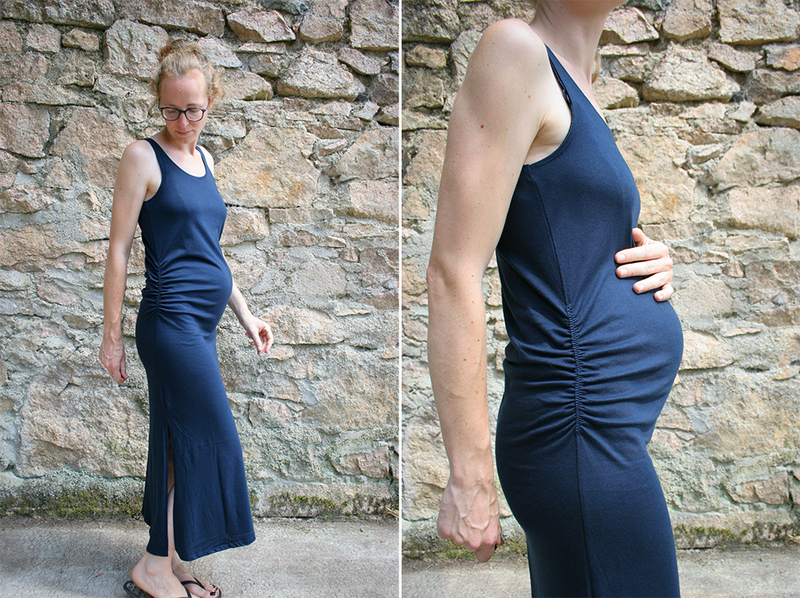 The RTW dress I used here is not a maternity garment and it shows, pulling around my belly and creating excess fabric at the back. Although I can get it on, the pulling on my belly felt uncomfortable and I wouldn’t be able to grow much in it. So I easily created the room I needed by just gathering the side seams. You will lose some length with this adjustment, about 4-6 inches (10-15 cm), so choose a top or dress that you could wear slightly shorter. Put the top or dress on, and stand in front of a mirror. With a pin, mark one side seam at just above your belly, or just above where you think it will grow to. I was 20 weeks pregnant at this time, so I knew my belly would grow both higher and lower. With another pin, mark the side seam just under your belly. 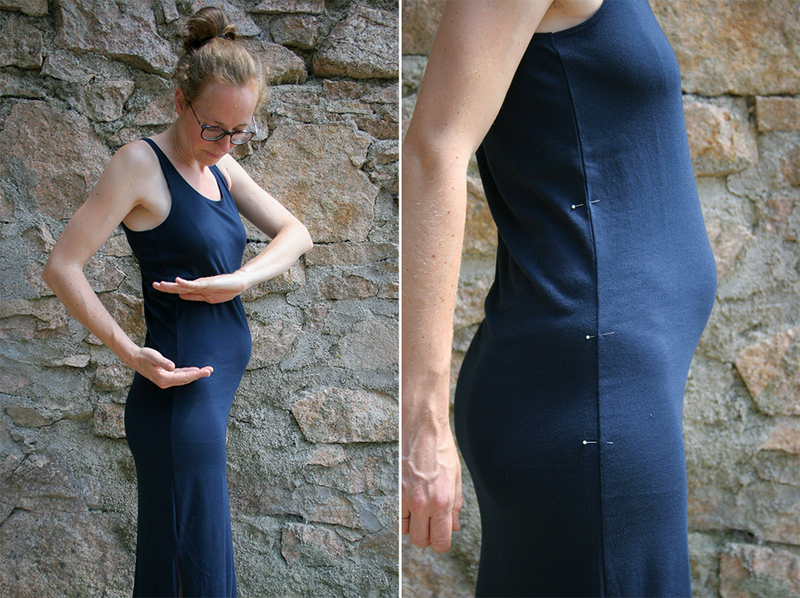 Take off the top or dress and measure the distance of the two pins from the armhole. Mark the other side seam in the same way, using those measurements. Put in a third pin below the other two, at 2/3 of the distance between the first two pins. The first distance is where your gathers will sit, the whole distance is what you will gather with the elastic. The distance between the bottom two pins is what you will lose in length. If you want to check whether that is enough, put the dress back on and hike up the side seams to mimic the finished gathers. Cut a piece of elastic the same length as the distance between the first two pins. Take out the middle pin. Mark the middle of the elastic and the middle of the distance between the first and the last pin. 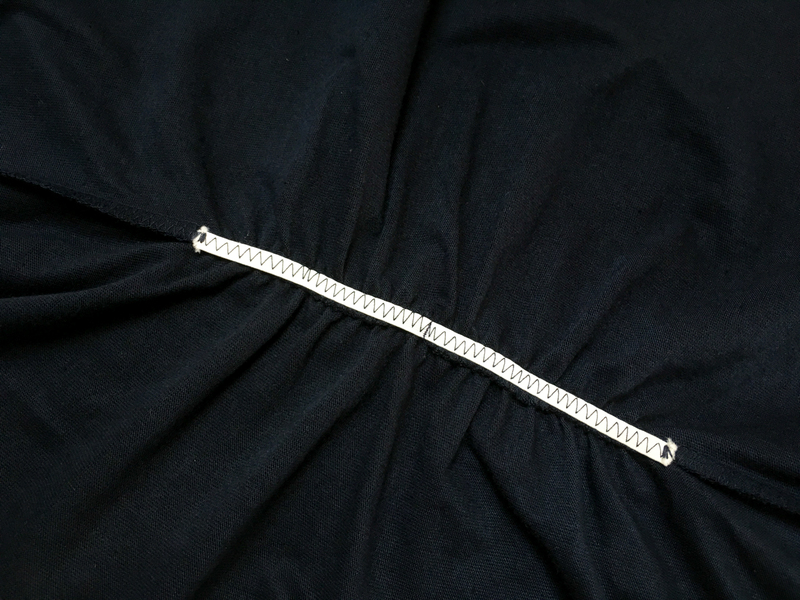 Pin the elastic to the side seam at the top, middle and bottom, on top of the seam allowance. If you were to sew the elastic just next to the seam allowance, it would create uneven gathers towards the front or the back. Without stretching the elastic, secure the top to the side seam with a wide but short zig zag. Set your zig zag stitch to have a width just within the elastic, and set the length longer than standard. If you set it too short, the elastic won’t stretch back to it’s original length. With the pressure foot still down, stretch the elastic between the first two pins to match the fabric underneath. You might need to pull slightly behind the presser foot to keep it from slipping forward. Sew until the first pin, then stretch the second part of the elastic until the last pin. 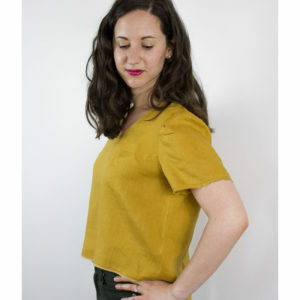 Continue sewing and finish with a wide, short zig zag. Repeat for the other side seam. Your elastic has probably stretched out while sewing. To get shrink it back to the right length, blast it with steam from your iron. 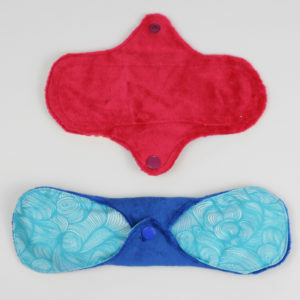 Turn on the steam setting and hover over just above the elastic to set the elastic and the gathers. Don’t press down as that will flatten the gathers. That’s it! 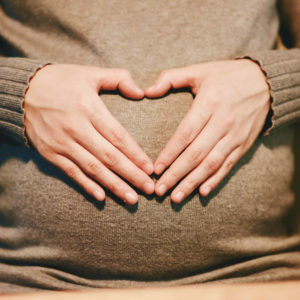 You’ve created room for a growing belly with just a piece of elastic. It is comfortable around my belly now, and the gathers at the back look more intentional. Thanks so much for this tutorial! I did it and it worked out great! I used it for a tank top, which I was making, so I just lengthened the pattern by 4″ to have the extra room for ruching. Now that it worked so well, I hope to use the same technique for other tops and dresses/tunics as well! Thanks!